Tom Wood and I meet in the Spirit of Rugby lounge at Twickenham Stadium. Last time Wood was at Twickenham, his Northampton Saints team were battered 55-24 by Saracens. The time before – his last in an England shirt – the national team smashed Scotland to equal New Zealand’s record of 18 consecutive tier-one victories. Since that game in early 2017, Wood has played only two games for his national team. But to even have been considered for selection under Eddie Jones is an achievement in itself: Wood was described by the Australian as “distinctly average,” and was the big name exclusion from Jones’ first squad in charge of the national team. But with the World Cup just a season away, Wood is still hopeful of reviving his international career, though he knows that his club form is paramount. “If I can get back in at Saints, and get in top form again, I see no reason why I can’t get back into the shop window for England. That said, Northampton playing well as a team is something that has been rare over the past few seasons. Ever since topping the table in 2015, Saints’ finishes have declined: 5th in 2016, 7th in 2017 before last year struggling even further, flirting with relegation all season to end in 9th place. When assessing his club’s downward spiral, Wood admits that Northampton have become stale over recent seasons. “This year, we’ve freshened things up with some new faces and voices, but our struggles were also a reflection of how Saracens and Exeter, for example, have remained cutting edge. To describe last season as a ‘kick up the backside’ is very apt. Saints failed to qualify for Europe for the first time since the 2008/09, and won only eight games all campaign. But, as Wood insists, the disappointment for Northampton was not in the results, but the performances. Over the past few campaigns, Northampton’s recruitment has had mixed success: last season’s star signing Piers Francis struggled to pin down a starting spot with questions over his suitability to the fly-half shirt he was signed to fill, whereas Louis Picamoles – the key acquisition in 2016-17 – opted to leave the Midlands for Montpellier. Wood is confident this has changed, with an array of star recruits arriving in Northampton. “As well as the big names, I think we’ve also recruited well in terms of character, personality and leadership: Biggar, Haskell and Franks bring a huge amount of experience, leadership and credentials to the team. 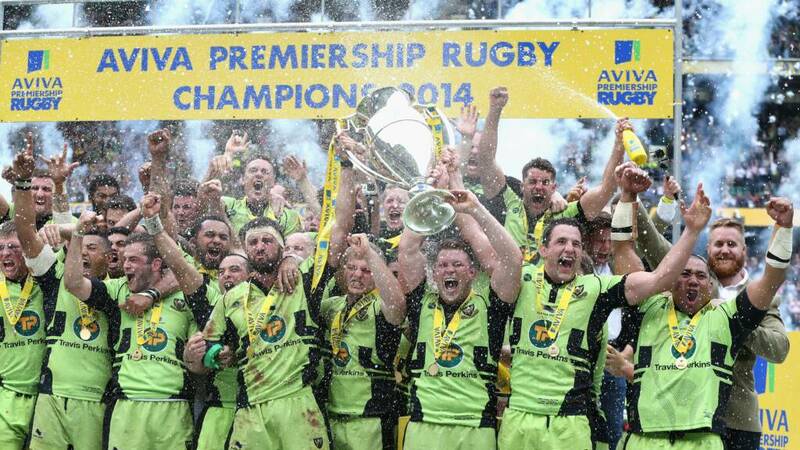 The signings will be hoping to arrest a fall and propel a Northampton team which has fallen down the league in recent seasons back to the top four where the Franklin’s Gardens faithful believe they belong. Northampton’s fall is a curious one. For a club to reach consecutive Premiership finals, only to slip down the table at a rate of knots is rare, but Wood has a theory for it. “It’s partly due to other teams evolving and being hungry to chase us down, and it’s partly the fact that I feel like we stopped evolving and stopped thinking outside the box and looking for new things to do. It’s an interesting insight, especially given the fact that both Saracens and Exeter have in turn threatened to command Premiership rugby in recent years. Wood hopes that both these clubs will be Northampton’s direct competitors this season, and he insists that there should be no ceiling on Saints’ possible progress (See how Read about Sport thinks they’ll get on with this Preview). “We have the potential to be serious contenders. It’s a big statement considering we were bottom end, and fighting relegation last year. Every team at this stage will be talking about their expectations for the year, and all their ambitions will be pretty lofty. 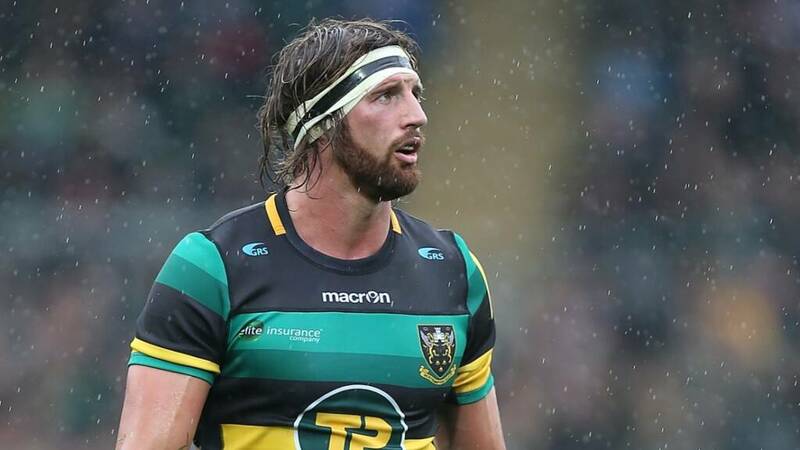 For a man who admits to being in regular contact with Eddie Jones, it’s not surprising that Wood is so keen for Northampton to return to where they belong as he enters his eighth season at the club. And with a back-row consisting of Wood and James Haskell – an experienced international duo – as well as Jamie Gibson, nominated for the Premiership’s player of the year award last season, Northampton will be a difficult proposition for any side this year.